I was alerted of a low tire by the pressure sensor dashboard light before I reached the hardtop one day last week. So I pulled off at the next wide place along our gravel road and plugged in the small pump we keep in the car for just such a purpose. And while waiting for the few minutes it would take the pump to make the warning light go off, I wandered the edge of the woods in thick shade of Rhododendrons and failing Hemlocks. And there was this curious plant I had never seen before–almost looked like a small shrub, with large, odd feather-compound leaves. The beginnings of flowers were forming at the axils of the leaves, so I came back a few days later for a photo of the early blooms that would help with the ID. I had already wondered if this was in the family Araliaceae–the ginseng family, that includes wild sarsaparilla, that we find on our land at times. And sure enough, it is Aralia racemosa, or American Spikenard. It has some history of use as a flavoring, and like most native plants, has purported medicinal uses of minor importance, far as I could determine. I just have to wonder if I have simply been NOT SEEING this plant for not knowing to look for its form in shady moist rich woods. Will I see it everywhere, now that my brain has the “search pattern” for it? If so, maybe I will save some seeds and hope others will want Spikenard growing in their Floyd County woods. I’m thinking this plant was once much more common, before land disturbance for timber extraction (often down to the roots), housing, farming, and road-building. As some of you know, we have an active native plant rescue operation underway in the county, as well as increased interest in NTFP (Non-Timber Forest Products) and rewilding. 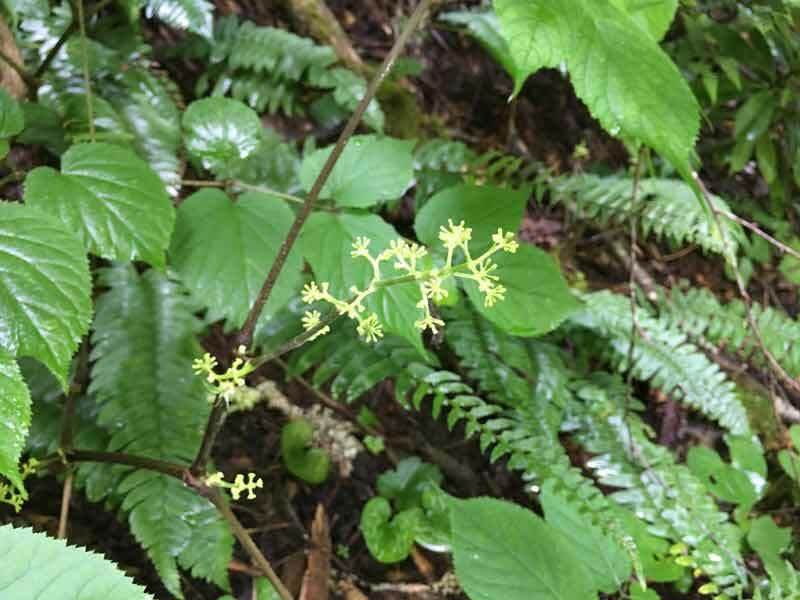 So maybe Spikenard can hitch its coat tails to some of that and be repatriated into the forest from which it seemingly has been largely cast out by human alterations to the forest landscape. 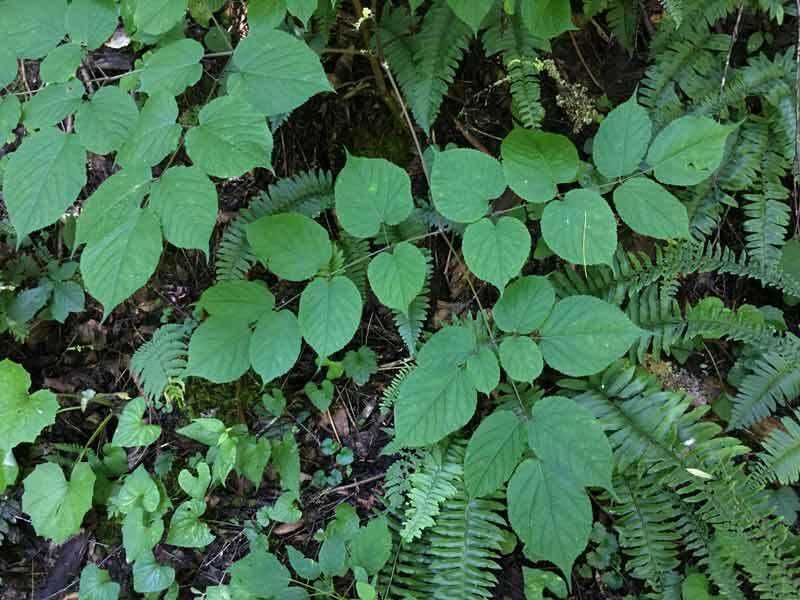 If, among the few readers of Fragments, there are other observations of this plant in Floyd County, please let me know, with info about habitat, relative abundance, and companion plants. My specimen was growing with wild ginger, black cohosh, and Catawba Rhododendron. “Shady moist rich woods”—I’m so glad to know that they still exist!